In late 2015 the Lethbridge Handicraft Guild embarked on a project that would facilitate new weavers working with more experienced weavers while finding a way to celebrate our wonderful community. 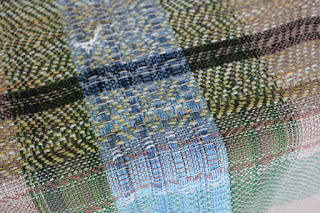 Our project was Woven Impressions of Lethbridge. 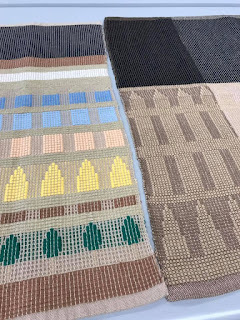 Four groups were each assigned a significant structure or landscape of importance to Lethbridge meant to inspire the design of their tea towel. Inspirations were the Post Office, Coulees and Wildflowers, the Trestle Bridge and the Nikka Yuko Japanese Gardens. Groups gathered pictures, met, and planned warps that would represent their unique landmark. 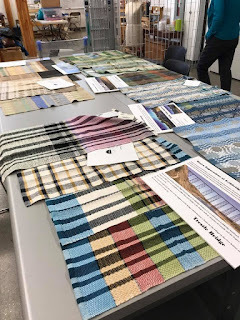 Team members worked together to design, make the warp and dress the loom. Each member wove two towels in whatever design and color they personally chose inspired by the beauty of Lethbridge. For the Christmas sale each towel included a description of the inspiration. 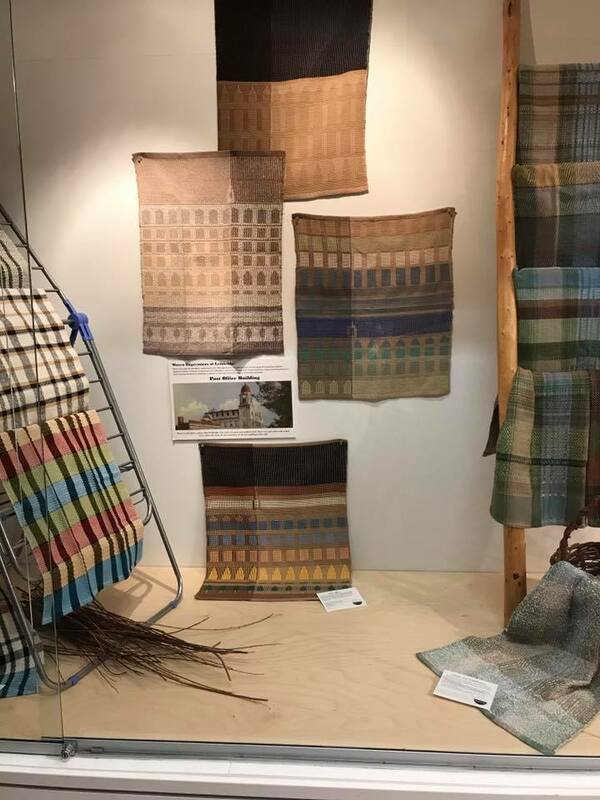 The towels were quickly snapped up at the sale and Round Two commenced in Jan 2017. 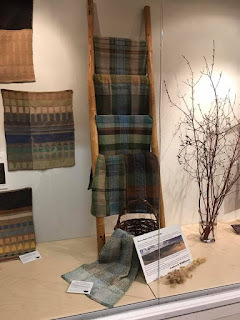 Individual weavers have woven on whatever landscapes they wanted to meet our goal of 3 displays in 2017: in May we will have a showcase at our community arts building where our guild permanently resides. In October we will showcase at the downtown branch of the public library. 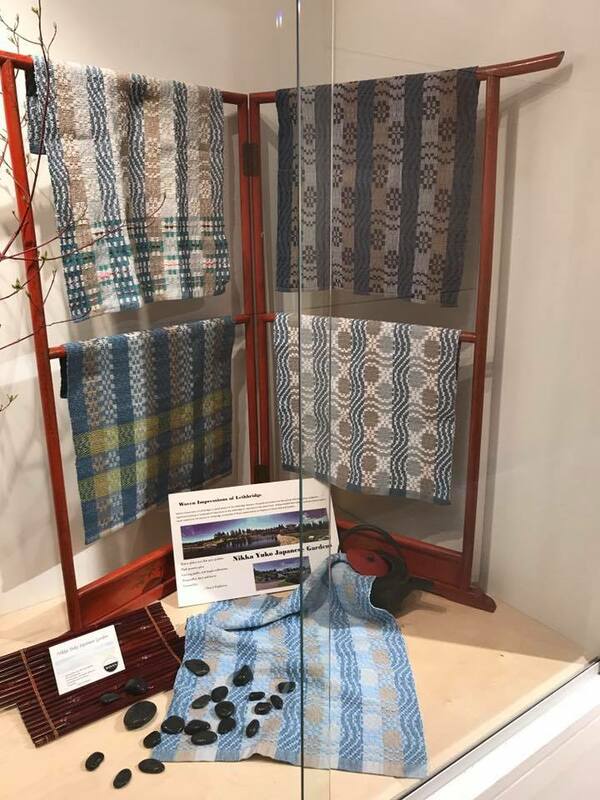 At the ANWG conference in Victoria our projects were on display in our guild booth. The Post Office was built to establish a federal presence in Lethbridge. The style is classic Beaux-Arts distinguished by classic simplicity rather than lavish ornateness. While all the federal buildings of the time have similar style, no two buildings are the same. The uniqueness of this building is its scale which is normally designed for larger centres, it is distinguished by its classic simplicity. The dramatic and boldly sited building with its prominent clock tower provided a highly visible boost to the urban development and visual core of downtown Lethbridge. It is prominent visually and is a popular local landmark. The design for the Post Office inspired tea towels is a Summer & Winter pattern. 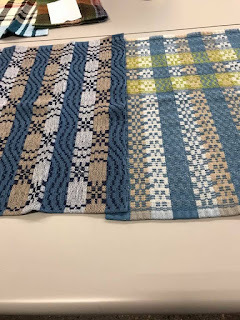 The warp is in two colors of 2/8 cotton. Weavers could choose to include the trees on the sidewalks, the windows and the clock tower. We are prairie women and have lived in this wonderful, big sky, semi-arid desert all our lives. The coulees leading to our precious river valley area are a source of recreation, relaxation and beauty; they also serve as the inspiration for our warp. The outer greens represent our grasses, the beiges and browns our coulee hills, the more centre greens are for the trees in the valley and the blue for our Oldman River. 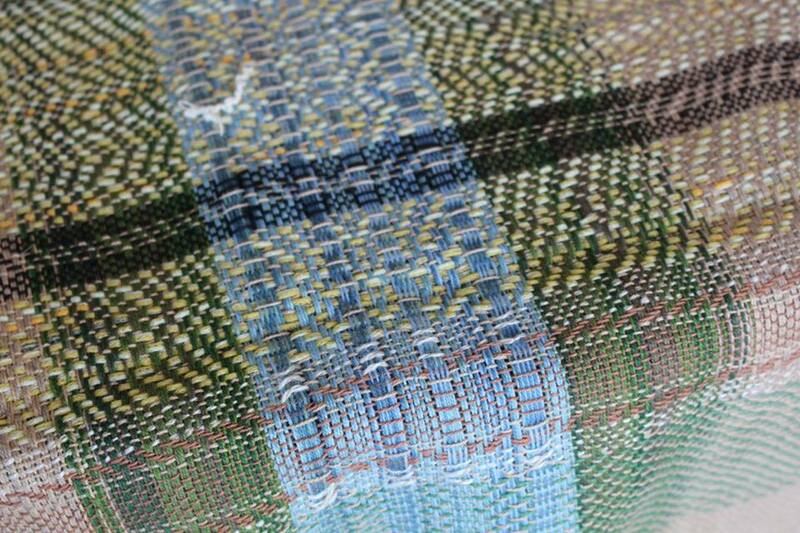 We chose an undulating twill pattern to represent our coulee hills. 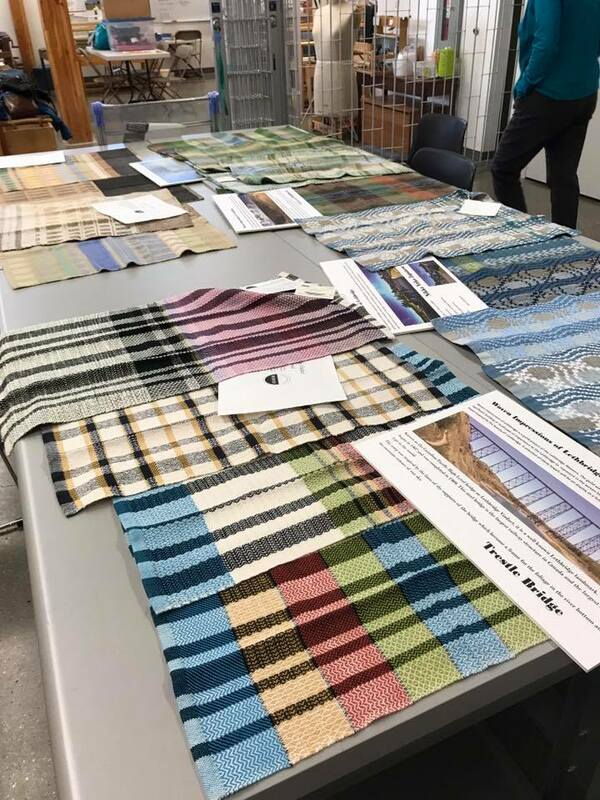 Every month brings changes to our landscape and serves as the inspiration for the individual weavers choice of weft. Known as the Canadian Pacific High Level bridge or Lethbridge Viaduct, the trestle bridge is a well known Lethbridge landmark. Construction began in 1907 and was completed in 1909. This steel bridge is the largest railway structure in Canada and the largest of its type in the world. The warp was inspired by the lines created by the supports of the bridge. These become a frame for the foliage in the river bottom and the awesome colours of our skies. 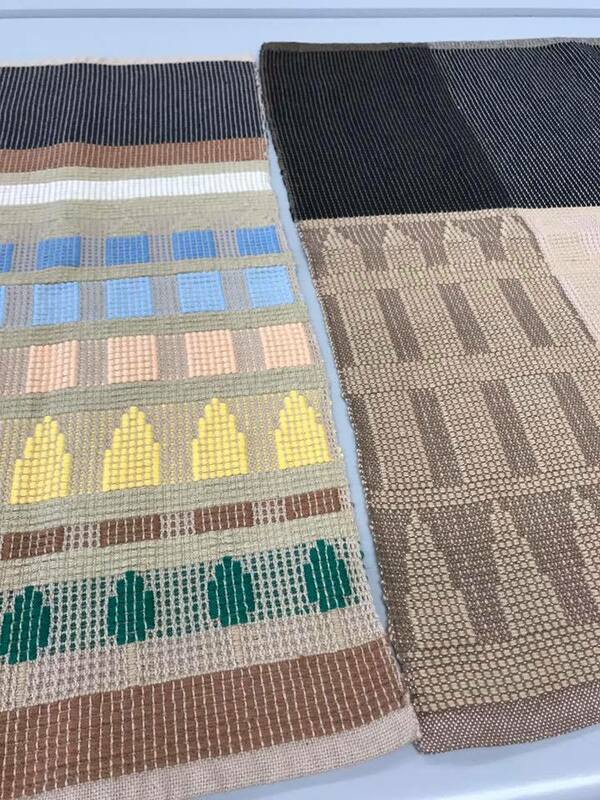 Each towel has a unique weft colour and was designed by the individual weaver. Established during Canada’s Centennial in 1967, Nikka Yuko was built to recognize contributions made by citizens of Japanese ancestry to the multi-cultural community of Lethbridge, Alberta, and as a symbol of international friendship. Its name was created from the Japanese words Ni (from Nihon meaning Japan), ka from Kanada or Canada, and Yuko, which translates as "friendship" to mean “Japan-Canada friendship”. Nikka Yuko expresses the merging of Japanese and Canadian culture in a garden rich in symbolism. It captures the signature of the southern Alberta landscape while simultaneously integrating traditional Japanese philosophy and symbols. Each element of the garden has been carefully chosen and maintained to bind the entire garden together in perfect harmony. Water is important, refreshing the spirit with a tumbling waterfall, gurgling stream, and reflective pond Rocks are among the outstanding features of Nikka Yuko. 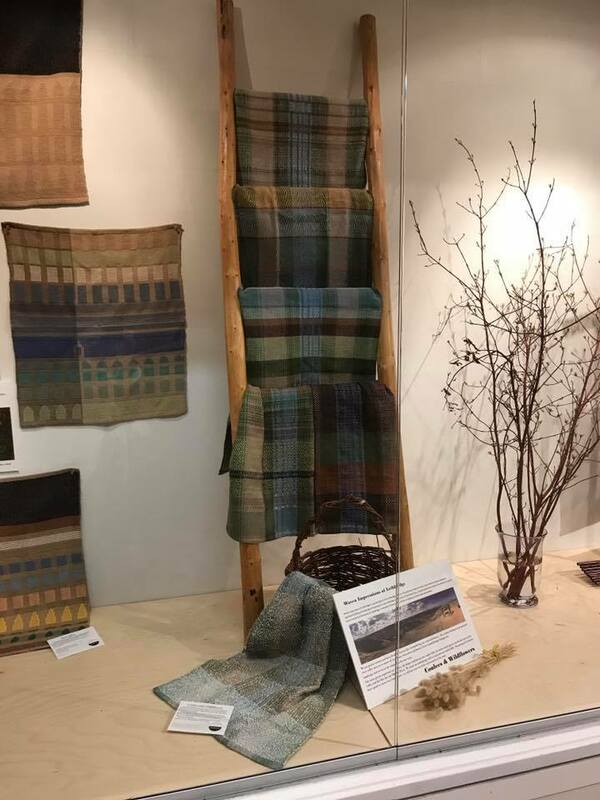 The weavers of the Lethbridge Handicraft Guild would like to acknowledge and thank ANWG for supporting this project through the grant they awarded to us in late 2015. It has been a wonderful project for our guild, bringing together new and experienced weavers. Thanks for sharing the blog on these items. I too have business for rajasthani handicrafts online. You can have a glance .